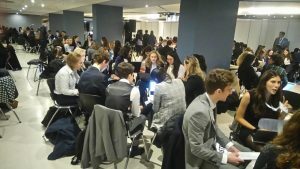 Five-day United Nations simulation, THIMUN, takes place yearly in the Hague, the Netherlands at the end of January. 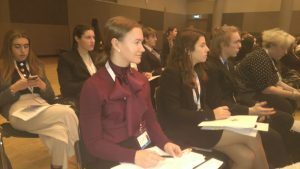 Along with over 3000 other students a group of KSYK students is currently participating in the THIMUN together with teachers Pia Skyttä and Sirpa Hildén. 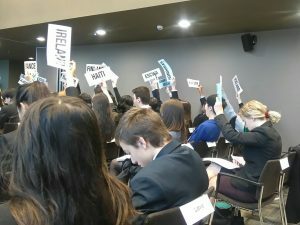 KSYK delegations represents the League of Arab states in this years THIMUN. Säde Yrjölä lobbying in the Human Rights Commission. 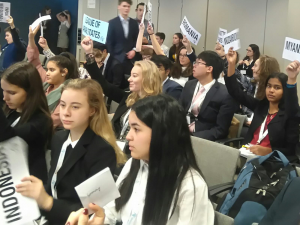 Rosa Rintala voting in the Environment Committee. Voting in SPC, Noora Nurminen on the right. 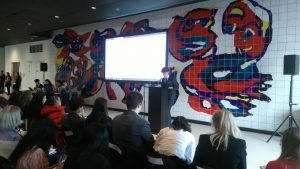 Our most esteemed Ms Ambassador Eerika Hanttu in the General Assembly sub-commission which deals with legal issues. She has done amazing work as the ambassador.